I have been tutoring for 7 years and have been working as an online tutor since December 2017. This has proved to be popular as it is more flexible and her students can be based anywhere in the world. Each student has their own personal webpage where work can be viewed and also kept for revision purposes. I use an online interactive whiteboard so problems can be worked out and demonstrated. One off lessons or continuing support is offered. Constantina is a former analytical chemist, amateur astronomer, professional artist and eligible member for Mensa. My teaching style is based on encouragement and building self confidence, whether for a specific problem area or subject as a whole. My aim is to assess the root causes of any difficulties and to find creative ways to overcome blocks to progress. I like to give thorough explanations after discussion and then test understanding in a variety of ways. Using online tools and visual prompts, plus downloadable and printable study pages and worksheets students can focus on specific topic areas and then progress to more demanding problems once they feel confident. I have an Open University degree in sciences which included credits in geology, physics, chemistry, astronomy and biology and maths. I also have a Creative Writing Credit from Strathclyde University. My experience is with students from Yr 5 upwards to A level plus adults requiring help with maths and english for professional purpose, expecially nursing. I work equally well with very bright and able students who wish to get the top grades and also with those who are struggling and need to make some progress to attain a higher level. My work with a student is both creative and varied so lessons are lively and engaging. Working online has proved to be a great advantage as students do not need to leave the comfort of their own homes and I have many more resources available if the need arises during the session. Online - unlimited venues worldwide. Locally, Bridgend area in South Wales. If you need extra help to improve your grade, gain more confidence in a topic area or are working towards a specific goal and need extra tuition, I can help you. I work in an engaging and creative way online and create a webpage for you to use both during and outside the lesson. We can work together on an online interactive whiteboard and discuss and work and practice examples and exam questions till you feel more knowledgeable and confident. Each lesson is prepared in advance but I am also knowledgeable and flexible enough to be able to switch to another topic if something has come up in school or in your homework that you are unsure of. Since starting tutoring support with Constantina around 18 months ago, my daughter has progressed in leaps and bounds. With the guidance and practice each week, her grasp of KS2 Maths and English has deepened considerably. 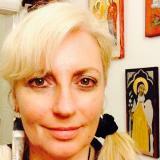 She has a great rapport with Constantina and enjoys each session – they cover a lot of work but they are always fun. She has helped to boost my daughter’s confidence and made her believe she is more capable than she previously thought. Preparation for the 11 plus was thorough and well paced. The portal through which she shares homework is easy to use. We are very grateful to her and would recommend her without hesitation. Hi Miss, I got into University or East Anglia to study medicine! Thank you so much! I couldn't have done this without your help, thank you for all you've done. Hi Constantina, Just thought I'd let you know that Abbie got an 8 in her GCSE. She is absolutely over the moon as in her mock she got a 4! Thank you so much for all your help, she wouldn't have achieved that grade without your help. Hi Constantina I thought you might like to know Nikki secured a science apprenticeship with GSK and started last Monday. She is really enjoying the work She will be studying a degree with them too. Thanks for your help with the additional tuition. Maisie got a 5 in her maths. Thank you so much for your help & support. she would never have managed it without you.